Are you looking for a New Year challenge? Then We Want You! 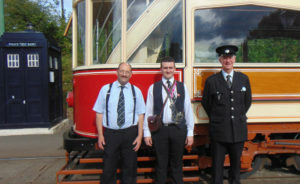 We are looking for enthusiastic individuals to join our volunteer Tram crew on our vintage trams. You need to be of smart appearance with good customer service skills. Training will be given to successful applicants, starting as a Conductor/Guard responsible for the safety of passengers boarding and alighting, ticketing and assisting the Tram Driver.